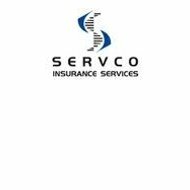 A Servco Health Insurance Company review leads to Servco Insurance Services. Servco Insurance Services is located in Hawaii and is one of the largest insurance providers in the state. Servco is locally owned and provides coverage throughout the state as well as for international marine and aviation businesses headquartered in Hawaii. Servco does not provide personal health insurance but you can receive rates and quotes for personal health insurance from several companies by entering your zip code in the free box on this page now! Subsidiaries are one way that Servo Insurance Services can provide additional services to clients. Agents analyze each business and come up with an overall package that is specific to that particular company. Commercial insurance is necessary for all businesses. Some insurance coverage is mandated by law, while other coverage is optional. Each company has different needs and a different budget, so Servco Insurance Services agents help match businesses to policies and do their best to make sure no one is over or under insured. Each type of coverage provides a unique aspect of coverage needed to protect the assets of the individual seeking coverage. Personal insurance policies are handled by field agents to can provide one on one help to clients. Some types of insurance are unique and are referred to as specialty insurance. This is because not everyone needs these types of policies. Specialty insurance is not offered by all insurance companies because there is added risk involved in taking on some of these policies, but Servco has developed several specialty insurance policies. Some of these insurance policies are for non-profit organizations and others are for profit only companies. All of the policies are customized to meet the specified needs of the company seeking coverage. Specialty coverage is not for every company. For example, pollution liability is only for companies that have emissions. Servco agents are trained to write policies for specialized insurance policies as needed. Being located in Hawaii, it makes sense that one of the Servco’s biggest categories of insurance is Marine and Aviation. Many companies that are involved in marine or aviation industries use Hawaii as a headquarters because of its coast and location. Servco offers insurance products that cover marine and aviation companies. The marine business has many aspects that must be covered including operations, the ships themselves, and those who operate the ships. Whenever something is operated at sea, there is always risk involved. This inherent risk calls for specialized marine insurance such as if offered by Servco and several other insurance companies. Likewise, the aviation industry also has a variety of aspects that must be covered by insurance both legally and practically. All aspects of aviation insurance are considered high risk and must be covered with specific aviation insurance that needs to be customized according to the type of aircraft used. Even though Servco does not provide personal health insurance plans, you can receive rates and quotes for personal health insurance from several companies by entering your zip code in the free box on this page.